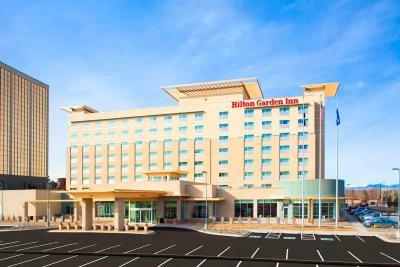 Lock in a great price for Hilton Garden Inn Denver/Cherry Creek – rated 8.3 by recent guests! All staff very pleasant and helpful. Very convenient location for things we wanted to do. Were allowed early check in and surprised with upgrade to west facing room. Breakfast was good and tasty. Lobby always clean. Nice clean room. Nice bedding and quiet place with lots of eating options within walking distance. the place rocks as do the adjoining food venues location mountain view/city view room. My family was in town for a funeral, the staff was so helpful and empathetic. They even caught us on the way to the service and gave us all a pack of tissue. Very thoughtful and kind, thank you! Friendly staff. Very helpful. Clean and modern rooms! The location is perfect! This is a great place to stay, walking distance to great food places and the staff was beyond friendly and helpful! The location was great and nearby restaurants were very close and excellent! 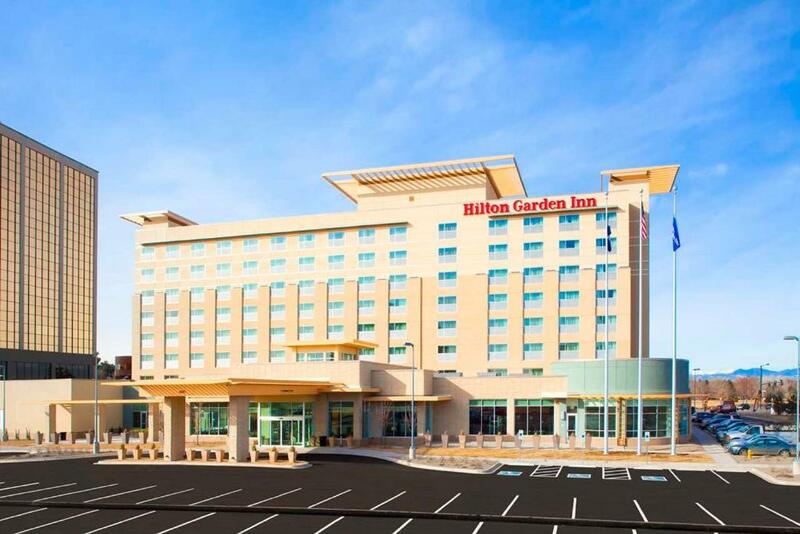 Hilton Garden Inn Denver/Cherry Creek This rating is a reflection of how the property compares to the industry standard when it comes to price, facilities and services available. It's based on a self-evaluation by the property. Use this rating to help choose your stay! 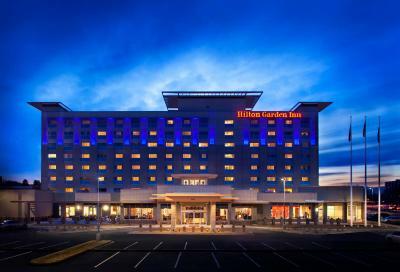 Featuring free WiFi and a terrace, Hilton Garden Inn Denver/Cherry Creek offers accommodations in Denver, 3.7 mi from Colorado Convention Center. The hotel has a hot tub and fitness center, and guests can enjoy a drink at the bar. Free private parking is available on site. You will find a 24-hour front desk, a business center, gift shop and shops at the property. Pepsi Center is 5 mi from Hilton Garden Inn Denver, while Cherry Creek Shopping Center is 1.1 mi from the property. Denver International Airport is 17 mi away. 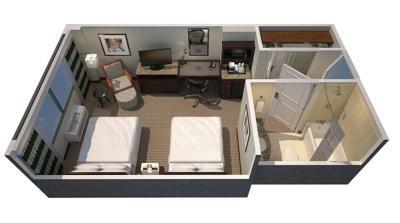 When would you like to stay at Hilton Garden Inn Denver/Cherry Creek? 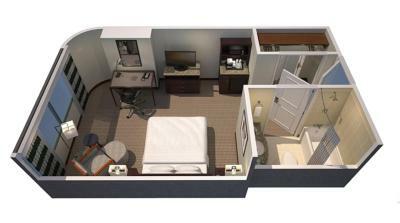 Featuring a sitting area, this room includes cable TV, a refrigerator and a private bathroom. Tea and coffee-making facilities are provided. Featuring a mountain view, this room includes cable TV, a sitting area and a private bathroom. A refrigerator and tea/coffee-making facilities are provided. This room offers disability friendly amenities as well. House Rules Hilton Garden Inn Denver/Cherry Creek takes special requests – add in the next step! Hilton Garden Inn Denver&#47;Cherry Creek accepts these cards and reserves the right to temporarily hold an amount prior to arrival. Hilton Garden Inn Denver/Cherry Creek accepts these cards and reserves the right to temporarily hold an amount prior to arrival. I arrived and the first room I was brought to had a dirty towel on the floor and the toilet and sink were dirty. I took my breakfast dishes up to my room the next day, and after my room was cleaned, I noticed the same dishes were left in the hallway on the floor outside of the elevator entrance on the 2nd floor. The staff was really unfriendly and depending on who J spoke with, I got conflicting information so it was very frustrating to deal with. Breakfast choices did not work for us. Disappointed that there were literally no vegan options other than a piece of fruit. More people are looking for interesting new healthy options, not the usual bacon and egg scene. We left to find a breakfast that had food we eat. Great location. Clean and comfortable room. The bathroom could have been cleaner. Found hair everywhere in the bathroom upon entering our room. The laundry room dryer took money and didn't work, went to front desk to ask for our money back was told no and we had to give more money to get change for a different machine. Not applicable. Everything was as reserved. We love it all. No complaints. The rooms, the staff were wonderful. Pillows were weak and small. Bed was plenty hard, but I realize you can’t have a bed that pleases everyone. When we arrived and turned the heat on in our room, the air conditioner/heater began to smell like urine and the room was obviously dirty. There were no trash bags in the the trashcans of our room and an empty box of kleenex and a piece of toilet paper stuck to the mirror. Believing this to be an honest mistake/oversight my fiance Thomas promptly reported it to the hotel front desk and they assured us they would remedy the problem while we were out. When we returned, the "remedy" was apparently spraying a ton of strawberry scented chemicals in the room so instead of urine it smelled like a chemistry lab. Still no trash bags, still dirty. I decided not to let it ruin the night and ignore it. Then the next morning they told us breakfast wasn't included even though I had payed 10 extra to booking.com for it to be included. They charge us 30 for some sad eggs and coffee. As if i werent miserable enough, the creamer on the table had turned and seperated in my coffee. My fiance went to the front desk, explained we had paid 10 extra to have breakfast included. The front desk assured him we would not be billed the 30 dollars for breakfast. We checked out and later that night were charged 30 for the breakfast anyway on top of the ten. Calling the hotel they said it was something we had to take up with booking.Com and they would not reverse the charges. Also there food pantry price gouges, charging 14 dollars for a 1 dollar Alfredo lean quisine and a 2 Oz sample size vanilla ice cream.